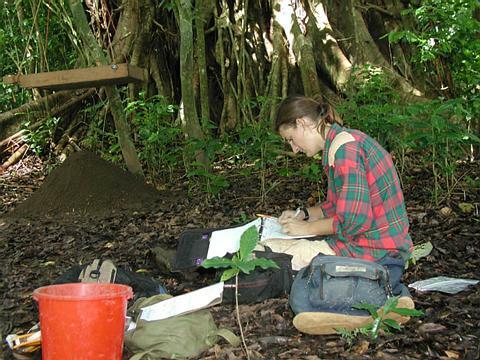 My PhD research (2003) focused on the evolution of conflict and fortifications in the Sigatoka Valley, located on the island of Viti Levu, Fiji. Using GIS, remotely sensed data, aerial photography, and land tenure data I analyzed the distribution of fortifications and agricultural resources. The results of these analyses were compared to excavation data from 12 sites, which ranged in age from the 1st to the 18th centuries AD. My research established that the interior of the Sigatoka Valley was occupied early in the first millenium AD, with permanent fortifications established on the tops of high mountains ca. AD 500. The occupation of these mountain fortresses during this early period indicates the reliance upon territorial strongholds within close proximity to the alluvial deposits of the valley bottom. This focus is indicative of the restricted quality of the Sigatoka Valley for dryland farming of uvi (Dioscorea alata). 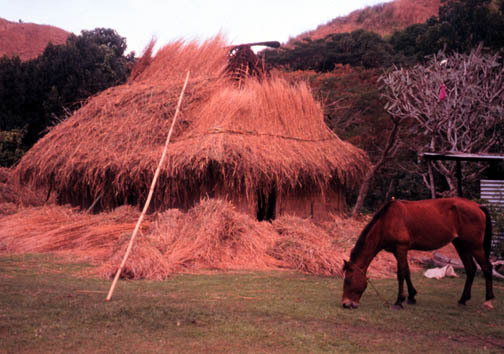 My research also established that populations increased in number during the 10th-14th centuries AD, and there was a dramatic removal to the remote tributaries of the Sigatoka Valley during the 13th century AD. This transition may have been related to climate change (the LCO/LIA transition), conflict, and the utilization of small streams for the production of irrigated dalo (Colocasia esculenta) (See Publications link to left; Field 2008, 2006, 2005, 2004, 2003a, 2003b).